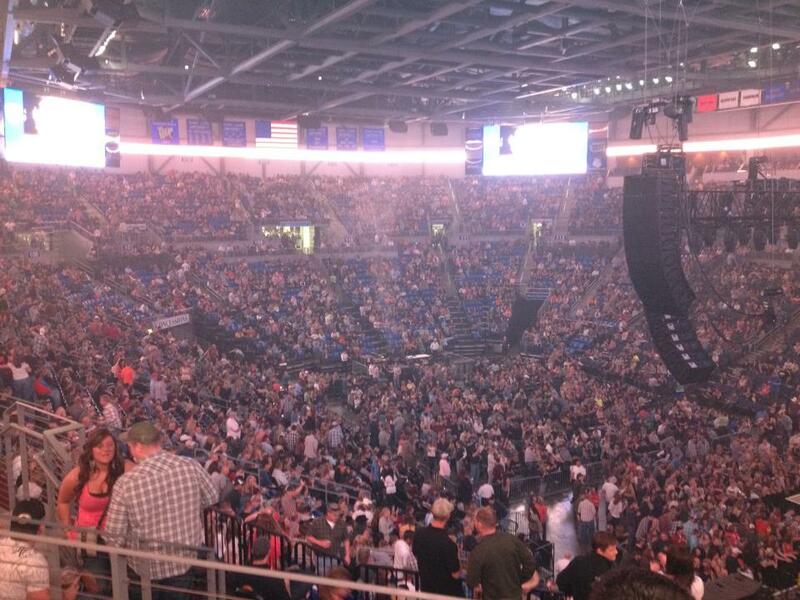 There wasn’t an empty seat in SLU’s Chaifetz Arena on Friday. And there is none other than Eric Church to blame for it. The sold-out concert brought music to somewhere around 10,000 peoples ears. And what a beautiful sound it was. 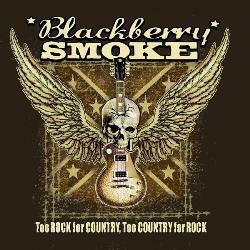 The band Blackberry Smokekick-started the night performing songs such as “Little Piece of Dixie” and “Good One Comin’ On”. Their Rock-n-Roll/ Country sound was the perfect way to get the party started . Next up was Brantley Gilbert who took the night to a whole different level with his rugged country attitude. 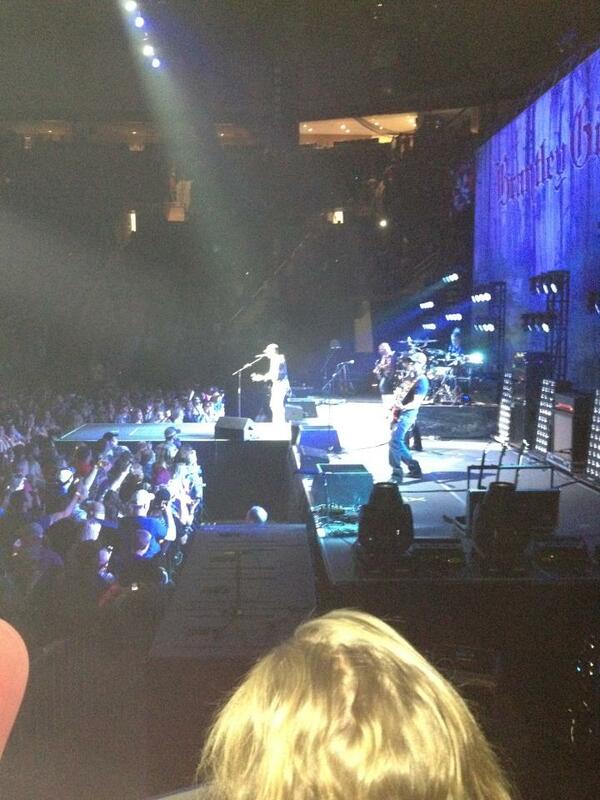 Gilbert amped up the crowd, performing “Kick It in the Sticks” and “Country Must Be Country Wide”. These two were the perfect mix of rough and tough country to start off the night. When it came time for Eric Churchto perform the crowd was going crazy as he rose up out of the smoke from the center of the stage. Church performed many hits off of his album chief. 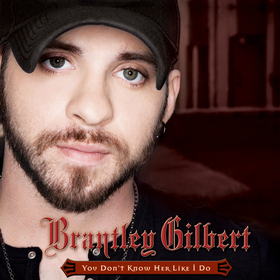 “Drink In My Hand” was of course a crowd favorite along with “Guys Like Me” and his latest hit “Springsteen”. And it wouldn’t be an Eric Church concert without the singers favorite whiskey–Jack Daniels. While performing the song “Jack Daniels”, Church actually handed his own bottle out to the crowd. And during Church’s performance of “These Boots” an audience member threw their boot on stage. Church held it up as he sang and then signed and returned it. Church found it hard to leave St. Louis, so much so that he had to come back for an encore performace. After all St. Louis’s was the first place he had ever performed in. During the encore Church topped off the night with “Smoke a Little Smoke” and an new piece that has yet to be heard. Church may have had to end the night, but the party continued for many Church fans as they partied all the way out to and in the parking garage waiting for the traffic to clear out. The concert was a great success and an awesome expierence. Most of the feedback from audience member was that it was the best concert they have ever attended. The energy of it was so strong and feel-good, it was definitly something to see again. « Jake Owen Gets Engaged! !